Connexys support may ask you to grant login access in order to assist you with a question, issue or request. 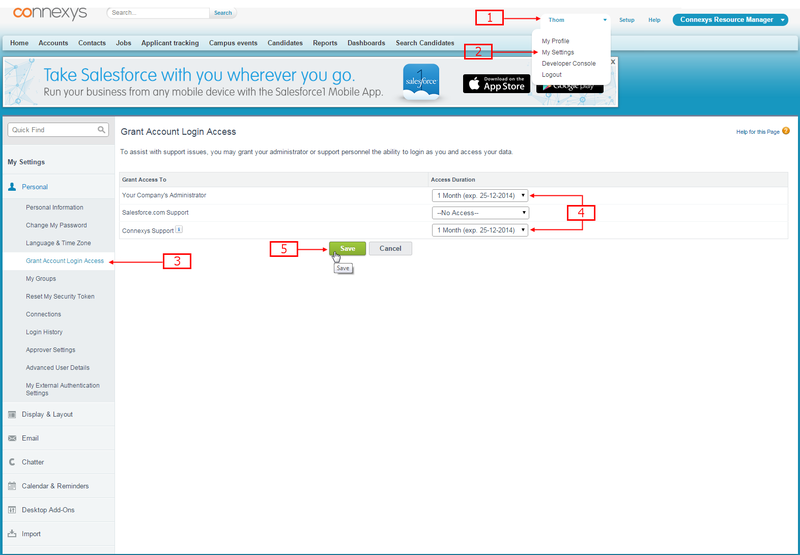 Granting login access allows Connexys support to log into the application using your login. You must grant access for them and specify a duration for that access. During the effective access period, they will be able to use your login and acces your org in order to help you resolve any problems. Set the expiration date for Your Company's Administrator and Connexys Support. NB. Usually one week will suffice. If only one of these options is visible, just set the expiration date for the one that is available. NB. If this was requested by us, please give us an update you have done so.